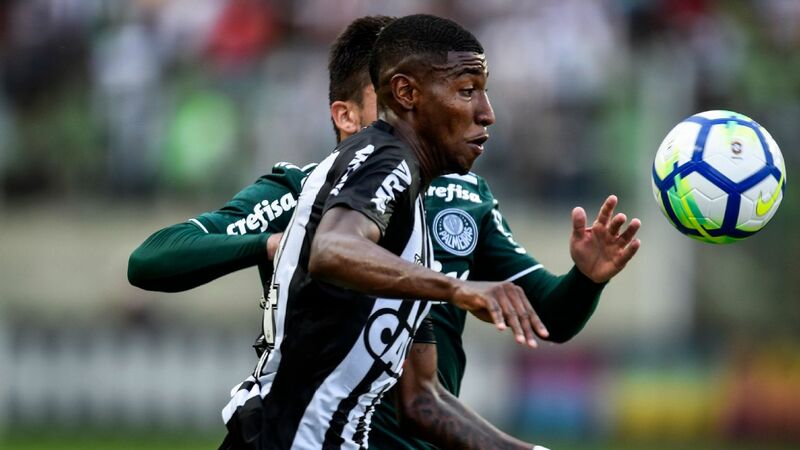 Barcelona have agreed a deal to sign 20-year-old Brazilian Emerson from Atletico Mineiro for €12 million and the right-back will join the club in July, the Spanish champions announced on Thursday. The Brazil Under-20 international, who has made 23 appearances for Mineiro, will spend the rest of this season on-loan at fellow Spanish top flight side Real Betis. Emerson is Barca's fifth signing of a busy January following the loan arrivals of Jeison Murillo and Kevin-Prince Boateng. Atletico Mineiro kept their Copa Libertadores hopes alive with a 2-0 win over Santa Fe. Fred is in fine form, but a recall would surely make little sense. Brazil, after all, have no short-term needs. Almost three years have passed since that surreal afternoon in Belo Horizonte when Brazil collapsed in the semifinals of the 2014 World Cup. Germany were five goals up at the interval. The home crowd had plenty of time to try to deal with the extraordinary event and as the second half painfully unfolded, they chose their scapegoat. Robinho and Atletico Mineiro are fancied to beat Racing but the Copa Lib is known for its unpredictability. On Wednesday the knockout phase of the Copa Libertadores really gets serious: three games, five former champions and two big clashes between clubs from Brazil and Argentina. It's perhaps surprising that all of this is coming so soon, in the round of 16 rather than in the quarterfinals. Come the end of next week, some major challengers will have left the competition. Gilberto Silva played for sides including Brazil, Arsenal and Atletico Mineiro. Former Arsenal midfielder Gilberto Silva has confirmed his retirement. Gilberto, 39, had been without a club since leaving Atletico Mineiro in 2013. He told a news conference: "As of today, I have ended my career as an athlete. It's a difficult decision. Corinthians now sit seven points ahead of second-placed Atletico Mineiro. SAO PAULO -- Corinthians increased their lead atop Brazil's first division with a 3-1 victory Sunday at Figueirense. The win, coupled with second-place Atletico Mineiro's 2-2 draw at Joinville, gave the Sao Paulo giants a seven-point margin with 10 rounds to play. Recent Brazilian national team call-ups Gil, Elias and Renato Augusto scored for Corinthians, and Leonardo Silva got the only goal for Figueirense.